Located on what used to be a major trade route, erected to protect the traffic and collect tariffs from the wealthy traders. 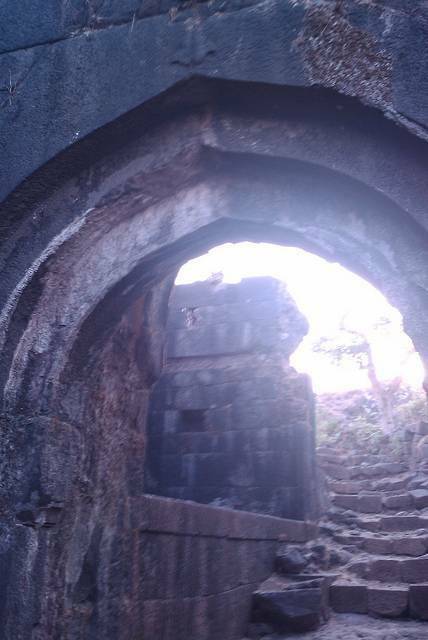 This fort overlooks the Khopoli and Khandala at the Lonavala junction. The fort commands an authorative view across the valley. The fort is made of two peaks conjoined by a road. From a height of approximately 3,000ft, from here is possible to see Dukes Nose, Karanala, Mahuli, Bhimashankar, Matheran and Ulhas river.